Rich color with an explosion of raspberry jam, chocolate, black cherry, and blackberry with a hint of vanilla and spices. Soft and velvety tannins frame together a symphony of fruit flavours on the finish. Consume now and over the next 3 years. 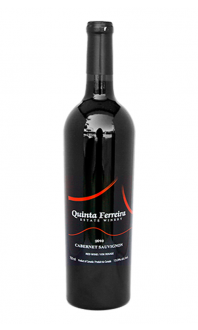 A very good red blend from Quinta Ferreira and great value! Would definitely have this juicy red again with fresh burgers this summer. Appearance: Semi-opaque, medium garnet-brick in colour. Nose: Medium intensity with plum, cherry, blackberry, leather and bell pepper aromas. Palate: Medium+ bodied and juicy, this Mistura Tinto delivers plenty of dark cherry, raspberry, and smoky black tea flavours. Secondary violet and dark chocolate flavours emerge. Quality: Medium body, medium acid, medium+ tannins. Well-balanced and with a healthy amount of tannins, this wine is drinking nicely now but could also age another 2-3 years. Food Pairing: Pizza with tomato sauce, meat lasagne or Ragu pasta, hamburgers, sausages or steaks just taken off the BBQ, and cured meats. This rich, smoky blend of Merlot, Cabernet Sauvignon, Cabernet Franc, and Syrah is a bold expression of dark fruit, dark chocolate and tobacco. 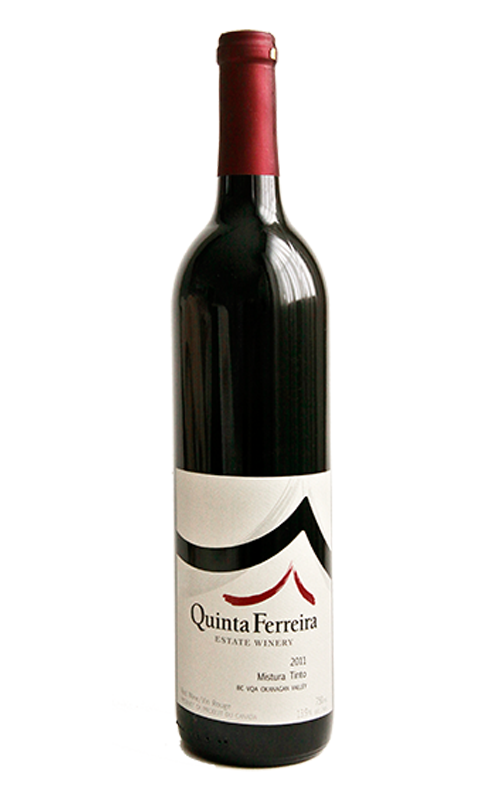 Winemaker Michael Ferreira has patiently aged this red for 20 months in 75% French Oak and 25% American Oak barrels. 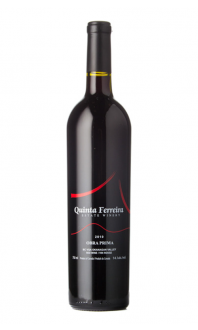 His Portuguese roots emerge in this wine – it’s full-bodied, well oaked, with a nice balance of fruit and acidity. This red will pair nicely with tomato-and-herb based sauces, roasted meats and game, and hearty stews.